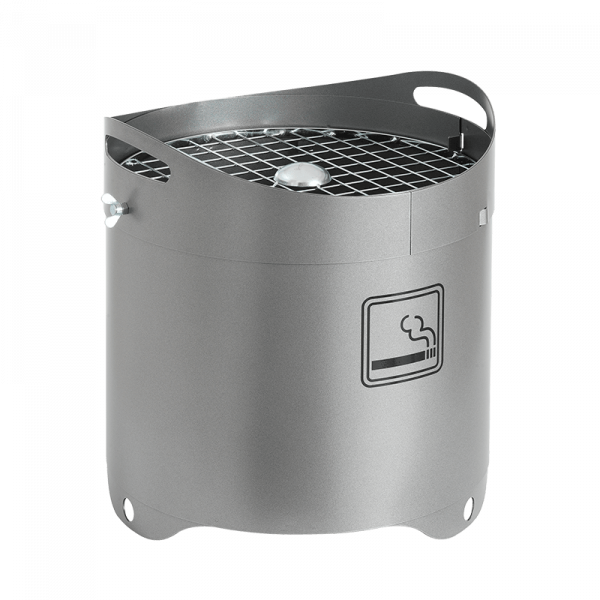 The Vesuv 45 litre ashtray bin is a sturdy, floor-mounted ashtray for outdoor use; standard colours are red or grey. The model is supplied with a grill, stub disc and holes in the body which allow it to be fixed to the ground if required. For ballast and to make emptying easier, we recommend filling the bin with sand. An inner bin can be supplied to make emptying even easier.